Added on 27 June 2018 . By Olivia Cheves. TAPS 2018 sees some of the best breweries in the UK and beyond joining forces with the city's best street food fest. Just when you thought the Digbeth Dining Club couldn't get any finer, they've kicked things up a notch and brought in cool brew heavyweights Craft Beer Rising for a feastival of epic proportions. Taking over The Custard Factory for three days of beer, street food and music, TAPS 2018 will showcase some of the best beers from the UK and beyond, alongside some of the award-winning vendors from the DDC. 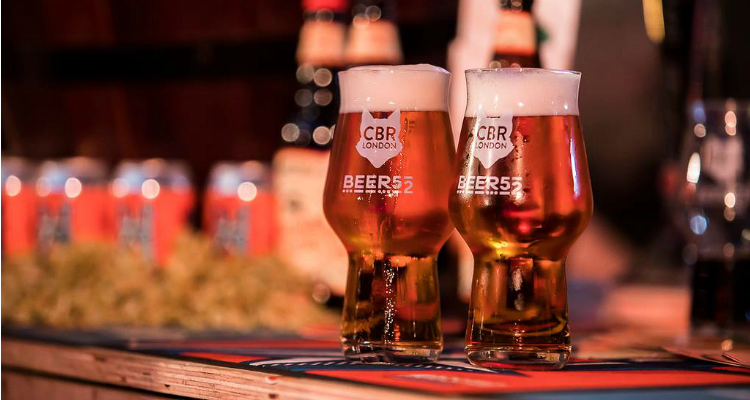 Regularly selling-out their massive beer expos, this will be Craft Beer Rising's first foray to Brum and they're one to get excited about. Bringing in local talent, national big-hitters and international curiosities, you'll be agog at the selection on offer. And once you've got your fill of beer and tasty grub, there'll be some cracking DJs on hand to keep the party going all day and all night.